For the drone owner that loves their drone, but wishes they could high-five it, your dreams are about to become a reality. Pro-Drone – a commercial and industrial drone manufacturer based out of Nagoya, Japan – unveiled their latest creation last week at InterDrone, the PD6B-AW-ARM. 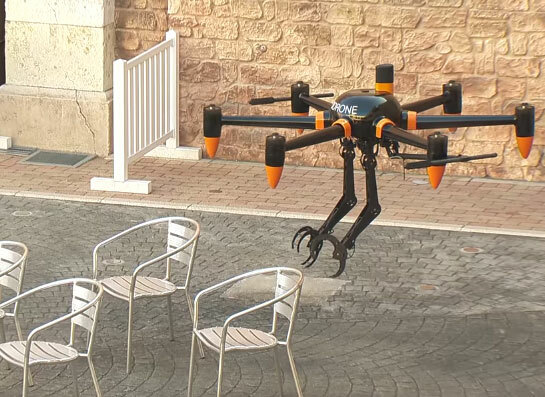 With a catchy name like that, it’s obvious that Pro-Drone developed this maniacal looking UAV with the professional drone pilot in mind, as is the case with all of their products. Pro-Drone makes drones for the professional (obvious statement of the year, right there) and the PD6B-AW-ARM is no exception. It’s basically a carbon copy of their PD6B-AW model, but instead of a camera it has two 5-axis arms with fully functional claws at the end. The drone itself is fairly massive, which it kind of has to be considering it’s designed to pick stuff up and fly away with it. Currently it’s capable of picking up payloads with a maximum weight of 44 lbs., but if this concept takes off it won’t be long before your car is being towed away through the air by a greasy guy in overalls and some FPV goggles. The arms aren’t just for carrying relatively small objects from one location to another. 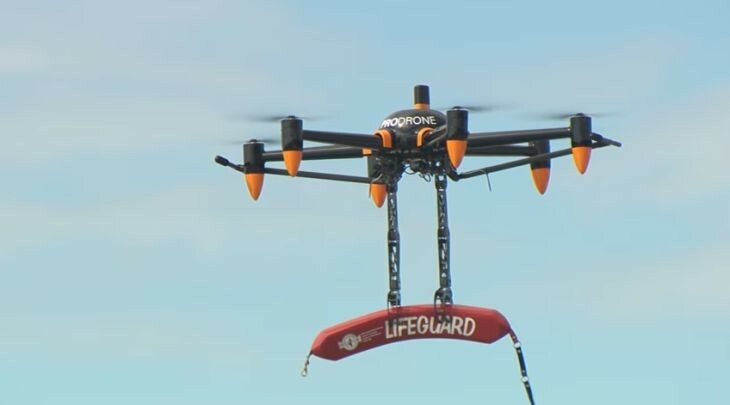 Pro-Drone explained that they saw a need for versatility in the drone industry, beyond that of surveying and photography, which – not counting recreation – are the two most common uses of drones today. “Up to now the industrial and commercial drone market has focused on using drones for photography and filming, mapping, surveying, spraying pesticides, etc., but there is (an) increasingly strong demand for drones to be able to directly perform specific “hands-on” operations. Right now it doesn’t look like the PD6B-AW-ARM can do much more than pick things up and perch nefariously like a mechanized vulture. However, the possibilities that this drone unlocks are exciting to say the least. Imagine a surgeon using a drone to perform an operation on someone in a remote village, or a drone that can actually make repairs to wind turbines or work on power lines instead of just inspecting them. Imagine a drone that can pick up the remote so I don’t have to get off the couch and walk across the living room. That would be amazing.